If you grew up in 4-H or live near a land-grant university, you may be familiar with equine extension specialists, those people who seem to have the unique ability to help you with any equine issue you may have, whether it’s pasture management, feeding issues or even facility construction. If you want to be a go-to person in the equine industry, consider a career in equine extension. Horse Illustrated: Where are you from? How did you end up in Kentucky and how long have you been here)? Dr. Robert Coleman: I am originally from Brandon, Manitoba, Canada, I applied for the position of Extension Specialist with an 80 percent extension and 20 percent teaching effort at the University of Kentucky. I was just finishing my PhD at the time and thought “what are the chances this will happen?” I wanted to keep doing extension and teach as my next step in my career. I got the position and have been in Lexington, Ky., since June 1998. I enjoy coming to work every day. HI: What is your title and who do you work for? RC: I am an Associate Professor in Equine Extension. HI: Can you give a brief background of the program at the University of Kentucky? RC: Currently we have two extension focus areas: one is the youth program, with a primary focus on the 4-H Horse Program. In this program, the youth learn not only about the horse, but gain valuable life skills with the horse as the teaching tool. These skills can be responsibility, but also teamwork, public speaking, leadership etc. The other program focuses on the adult horse owner and has been in the development stage for many years. The focus is for those who are considering a horse or who currently have a horse and want to ensure they are doing a good job caring for the horse. This started out as Horse College, but has included field days and other seminars to aid in providing information to horse owners. In addition, extension publications have been written plus I answer questions on a regular basis from horse owners or their local extension agent. HI: How long have you been doing what you do? RC: I have worked in extension for 35 years. HI: What did you do before you came to the University of Kentucky? RC: I worked in extension in Alberta, Canada. HI: What different facets does your job entail? RC: No two days are the same as I work on developing information for horse owners. Answering questions can mean reading and asking my own questions when the topic is new to me. There is always an opportunity to write more and provide more sources of information. When time has allowed, I have participated in applied research to have answers to many owner questions. This has been on feed intakes, pasture management and most recently the healthy horse app. HI: How did you decide on this field? RC: I had a friend who was the Extension Specialist in Texas; he really enjoyed his job. RC: It was not extension as it was not until I met Dr. Doug Householder that this career option even came on my radar. I was first going to be a vet (what a surprise!). HI: What is your educational background (undergrad, Master’s and PhD)? RC: I have my Bachelor of Science in Agriculture with a focus on Animal Science and Master of Science in Animal Nutrition both degrees from the University of Manitoba. My PhD in Agriculture, Animal Nutrition is from The University of Alberta. RC: I did not grow up in a horse family, but had horses from age 12 until I was in college. I showed Hackney Ponies and worked in any equine area I could. I was in 4-H growing up. I currently do not own a horse, but I ride infrequently at Sargent Quarter Horses in Bourbon County, Ky.
HI: Did you have any experiences that really stuck with you earlier in life that made you want to do this job? RC: Doug Householder told me what he did (extension) and it showed me that you could work with horses and horse owners. It was fascinating then and is today. I learn something new about the horse or the industry every day. HI: Are there many other places other than the Bluegrass area where you could do this job or is it very region specific? RC: Most but not all land-grant universities have an Extension Specialist. My position is a bit different as when I came to the University of Kentucky, it was to develop an adult-focused program and to not spend as much time on the youth activities. In many states, the youth program is the area of concentration–while we have a great youth program in Kentucky it is not where I focus my time. RC: A person interested in extension must be willing to learn and enjoy working with people. When I go to an extension activity, it’s rare to not learn something new–it might be in order to answer a question or to see how someone else handles a problem. HI: Did you do any internships or job shadowing that cemented your decision either NOT to pursue a different career OR to pursue this career? RC: No, I did not–I just started into the position but had a great mentor/boss who worked with me and offered me great insight. RC: I would hate to say it depends, but it does. When there are lots of meetings, I could travel three nights a week and the odd weekend. RC: Meeting with horse owners and dealing with the equine industry. RC: Managing the time it can take to do the job well. RC: All the great friends I have made across the state and throughout the extension service in the United States and Canada. They are horse owners, county agents and other specialists. 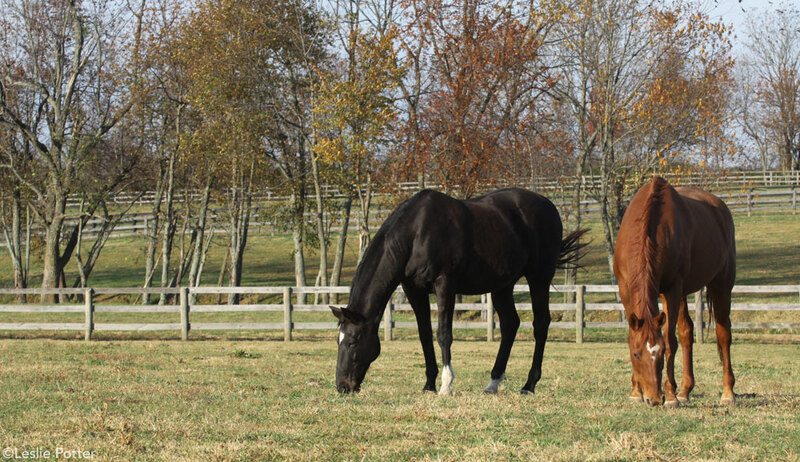 HI: What advice would you give people who are interested in pursuing a job as an equine extension Specialist? RC: Learn all you can in an area you are interested in, and be willing to look for a position where ever it might be. I talk to students all the time who are concerned about moving away–you can always come home to visit, but being able to do something you truly enjoy is great. HI: What do you think you would do if you didn’t have this job? RC: That is something I have never thought about! Next articleAre You Adjusting Your Horse’s Noseband Correctly? Good job information and how a person work who in the field, feels about it.